New York, USA -- To make human life worthy, prosperous and peaceful, different philosophies and thoughts have been propounded through the ages, of which Buddhism occupies a prominent place. It is well evident from the fact that approximately five hundred million people all over the world carry out their day-to-day activities on the basis of Buddhist doctrines. The Buddhist Religious-Community has fourth place amongst the major religious-communities of the world. In quite simple and clear words, Buddhism consists of that great and all-welfaristic philosophy of life, which, especially Gautama Buddha put forth before human world approximately two thousand five hundred years ago, and having Karuna-the compassion, a value supplementary to Ahimsa-the non-violence in the centre, treated his individual life in accordance with it. Karuna-the compassion is not merely a word close to pity as it is generally understood. Like Ahimsa, it, too, involves a wider concept. It is, in fact, an abridgement of pity and friendliness; in it, there is an urge for perpetual need of equality based on affection and friendliness. Gautama Buddha was fully aware of that consideration in which a person desired to control others; he wanted to keep him in higher position in comparison to others. The Buddha, a great guru- the teacher with great mind was also aware that this factor had been responsible for disintegration of society and the nation. And that’s why he, having karuna nucleus, emphasized on equality amongst all human beings-men and women, and there was no caste or class in his vocabulary. Till the last breath, Gautama Buddha tried to make human beings understand that surety of existence could be possible if the path of equality was followed; progress could be made if the desire of becoming master was given up; peace could be achieved if human beings, knowing the reality, control themselves and they become compassionate by heart and soul. Hiinayaana is one of the prominent schools of thoughts of Buddhism. Generally, it is believed that the Hiinayaana thoughts are individualistic. 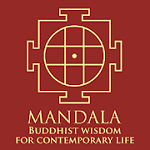 Maximum stress of Hiinayaana is to take a human being towards happiness and salvation or liberation, or Nirvana from his personal sufferings or grieves, or Dukhas, by creating full understanding and reality of the Four Noble Truths or the Arya- Satya in him, and through the unique Eightfold Path. Many amongst scholars of both-the East and the West-have also extended an argument that because Hiinayaana philosophy is centralized upon individual, it is micro in dimension; and it is for this reason perhaps that it has been linked to word ‘hiina’, which in simple words can be translated to ‘lesser’, ‘small’ or ‘low’. “Hiinayaana Buddhism is a good introduction [itself] of Buddhism what the Buddha [himself] taught”. Along with this, other verses, which may be quoted in support of the argument, are from the Puppha Vaggo, the Sahassa Vaggo and the Brahamana Vaggo. And lastly, his preaching that ‘man is himself his master; no other one can be his master; and rare mastership is gained only after sublimating oneself adequately’, can also is seen in this very context. Now, after analyzing above verses, what conclusion appears before us? Is the Hiinayaana philosophy really an individualistic one or is it micro in dimension, or is it centralized upon individualism? Not, as I think and believe. Reality is this that Hiinayaana philosophy was in existence even before the Mahaayaana, another prominent branch of Buddhism; may be not in the name of Hiinayaana, because nomenclature Hiinayaana came to light at the time of rising of Mahaayaana during a broad philosophical discourse on Buddhist philosophy, which took place after Lord Buddha. Nevertheless, Hiinayaana was discovered as a rival word by a great intellectual belonging to the Mahaayaana school of thought. May be or may not be that great intellectual might have meant to downgrade its rival philosophy in comparison to their own views and for this reason he called it Hiinayaana [lesser vehicle]. Even then, Hiinayaana is not a lesser vehicle; as it is important and relevant even today. 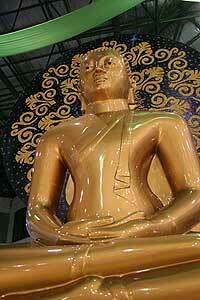 As is well known, Lord Buddha also accepted the principle of enjoying or suffering the consequences of one’s actions. He agreed that humans are liable to the destiny according to one’s deeds. Buddha declared the human deeds as the reason of repeated birth-death and rebirth and accepted deed itself as the basis of ultimate salvation. The principle of four noble truths [Dukha-suffering, source of Dukha, cessation of Dukha and the path of cessation of Dukha] expounded by him, firstly shows the fact [mirror] of human life and then provides point wise knowledge and intelligence to make it purposeful and fruitful. Not only has this, Lord Buddha’s call for determined adaptation and specific commitments and promises for development of ideal virtues, especially Shila-the moral conduct [which is literally linked to calmness and pleasantness], also started virtually from individual life. Shila turns a person virtuous and for this reason Lord Buddha has laid so much stress on it. A virtuous person can exercise self-control and then as a key to all happiness and dedicated to goodness, one can reach to the entire depths of the nature of excellent conduct. He can progress on the path of salvation of self and then of entire universe. In reality, one can start from self. By renunciation of evils, a person, while developing ideal virtues through his good deeds, leads on the path of self welfare and reaches the stage of salvation; establishes himself as ideal for others and then inspires others towards that path [of salvation]. An individual who is not able to proceed on the path of self-welfare and reach the ultimate can not become ideal or inspiration for others. This is the universal truth. Beginning shall have to be made from the bottom; that is, from the level of individual. This is the crux of teachings of Hiinayaana. It contains the condition of becoming light for welfare of self first. Hiinayaana message is to show enormous light to others after making the self luminous and shinning. The Hiinayaana Buddhism is nucleus in the life of millions of people of the world in general and in Asia in particular. It is a matter of great satisfaction that people of a country like Thailand have assented Buddhism in their daily practices in the best possible manner through their casteless and equality-based societies and synthesizing culture, of which karuna-the compassion, hospitality, sincerity, readiness towards self-reliance, development by peaceful means and hard-working temperament are the main features. The five precepts, the three fold training, the law of action, four virtues for a good or ideal household life etc. are those great exemplary and emulative principles, which made the life of Buddhists worthy; they, side-by-side, give strengthen Buddhism to be followed by individuals and societies, even according to time and space. Moreover, how to show respect to others’ faith, ideas and views, can be learned from people of Buddhist countries, especially Thailand. Tolerance shown by people of Buddhist countries is exemplary; and this, as I believe, gives dimension, one after the other, to the development of their counties at various levels. 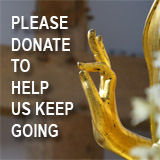 way showed by Lord Buddha, or in other words, Buddhism, or the Buddhist teachings, especially pertaining to self-beginning are fully capable to become the basis of resolving all problems, from individual to international level, and to strengthen the spirit of global understanding and co-operation. More we come closer to them in our daily practices more we gain in the matter. If karuna-the compassion can be the best basis of co-operation and understanding at individual level, the panchasheela can be a solid basis of mutual relations, co-operation and understanding amongst the nations, societies and communities; also it can be the basis of resolving disputes-big or small, or of local to global level. Dr. Ravindra Kumar is a universally renowned Gandhian scholar, Indologist and writer. He is the Former Vice-Chancellor of University of Meerut.